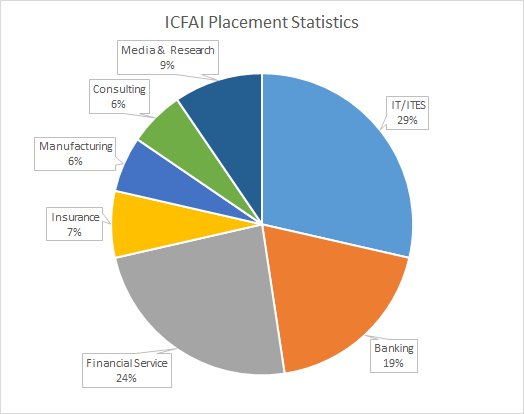 ICFAI stand for Institute of chartered financial analyst of India. ICFAI group was established as a NPO (Not For Profit Organization) with the objective of establishing educated citizens through world class education. ICFAI group made its debut in the Indian education diaspora in 1985 by launching high – end innovative professional program. The program was an unique and first of its kind initiative in India. It aimed at equipping students and working professionals with cutting edge knowledge in contemporary areas of finance. It has 2 branches – ICFAI University and ICFAI business school (IBS). ICFAI business school started its operations in the year 1995. 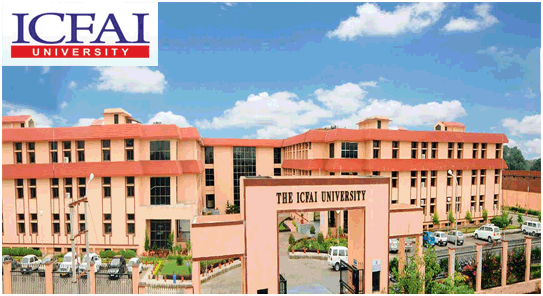 ICFAI has established 11 universities across India at Hyderabad, Dehradun, Jaipur, Jharkhand, Meghalaya, Mizoram, Nagaland, Raipur, Sikkim, Tripura. ICFAI bring a unique advantage of of real life case studies to its distance MBA program. The university runs two research departments – IBS Case Development Center (IBSCDC) and IBS Center for Management Research (ICMR). The research activities run by these departments allow the university to make its distance and full time programs more comprehensive and practical in scope. Quarterly Exams – Students get a lot of flexibility to decide when they want to appear for the exam since the exams are conducted 4 times every year. Fixed Schedule – The exam dates are planned in advance and communicated to the students. This allows the students to plan their other committements. CBT – Computer Based Tests Since the exams are conducted online, students can take them at their convenience and wherever they want. The program is divided into 4 modules. Modules 1 and 2 are basic modules and they are compulsory for all specializations. Module 3 has electives and students need to take appropriate electives based on their specialization choice. The standard duration of the program is 2 year. Once the student registers for the program , s/he can complete it within 4 years. In case the student fails to do so, s/he can register again by paying requisite fees and complete the program. 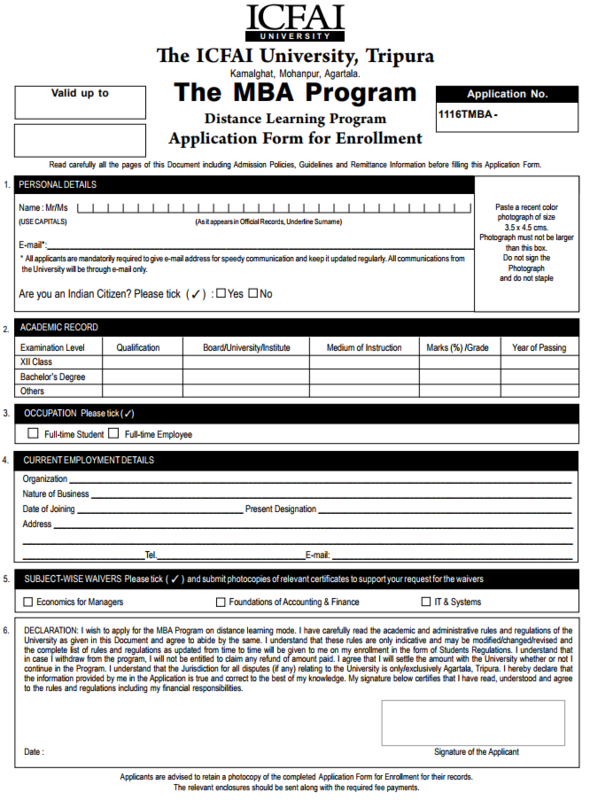 The flexible learning program(FLP) is the distance mode of learning. Candidate must be a graduate with 50% marks in aggregate. Candidate can also apply through GATE, SAT, XAT, MAT. Students can apply online or offline or both. Candidate needs to pay the amount of Rs 600 through online. Applicants can apply through offline by downloading application form and send it to the admission officer along with DD of Rs 600. The DD should be drawn in favour of “IFHE-prospectus fee A/C BBA 2017” payable at Hyderabad. The students can also request for the prospectus online on ICFAI website. Applicants should upload passport size photograph, DOB certificate, qualification certificate. Application is received by the university and checked for the eligibility. Eligible students are informed about the fee structure of the program. Rejected applications are sent back after deducting Rs. 500 for processing fee. Such students can apply again after fulfilling the eligibility criteria. Once the application is accepted the student can enrol into the program after paying requisite fees. The total fee for the ICFAI distance MBA program is Rs. 63,000/-. The fee can be paid either through DD or a Credit Card. DD should be drawn in favour of “The ICFAI University, Tripura-Fee Collection A/c (FLP)” and it should be payable at Agartala. Cash payments are not allowed. Fees once paid will not be refunded. The university offers the flexibility of either paying for just 1 module at a time or paying for all 4 modules (full course fee) in one go. If the student decides to pay for one module at a time, s/he has to pay for subsequent modules once the previous module is completed. The fee per module, in this case, is Rs. 20000. But the student needs to pay only 25,000 to get admitted into the course. Total fees paid over the entire course period is Rs.85,000. If the student decides to pay full fee at the beginning of the course, s/he has to pay Rs. 65,000 which also include Rs.5000 admission fee. With this option, the student does not need to pay any additional fee for future modules. Irrespective of which option student chooses, she/he can opt for EMI facility. The EMIs can be paid through post-dated cheques. Besides the fee indicated above, the students are required to pay the examination fee of Rs.500 per subject. Course fee will be refunded within 30 days of enrolment after deducting admission fee and course supplies fare. After 30 days no refund fee will be entertained. Graduated students with minimum of 50% marks aggregate in any discipline. Candidates must have completed 15 years of education. Candidates not meeting eligibility criteria of English medium must submit their TOEFL/NIELT/IELTS score. Candidates in final year of graduation are also eligible to apply for the program. Graduation in any discipline with 50% marks in aggregate with English as medium of instruction. Post graduation in management and economics, Commerce, psychology, sociology, Public administration with a minimum of 55% marks. CFA/CA/CWA/CS with 55% or above marks candidate are also eligible. Candidates not meeting the eligibility criteria of English medium must submit their TOEFL /NIELT /IELTS score. ICFAI has been ranked 13th among top private B schools of India. AAAA rated B school of India. Ranked 06th among private law colleges. Ranked 02nd among top law schools by region. Ranked 04th among top law schools of eminence in India. Ranked 01st among top 10 private universities for engineering in India. Ranked 01st among top 10 emerging engineering colleges in India. The admissions are rolling i.e. students can apply any time of the year. The date of the exam will depend on when they apply. For example, if a student applies by 31-Mar-2018, s/he can appear for the exam in October 2018. The exams are held 4 times in the year as shown below. The university has various centres spread across India. For details visit the university website. The distance MBA program is called as executive MBA which is a 02 year course with an experience of 03 years at supervisory/managerial level. The classes are held between 9AM and 6 PM on all Sundays and second Saturday. IBS has an impeccable track record of achieving excellent placements every year with top companies recruiting from this college. It has implemented a very systematic approach towards career building of its students. They have a career management center that plans and implements the placement activities through out the year. The career management center operates under the guidance of director with a team of manager and executives. The team visits about 1000 companies and have a good rapport with them. Industry interaction helps the student to have a better career counselling and planning. It also helps to increase recruitments and maintain industry contacts. Summer internships provide academic inputs along with practical training and physical experience in various career opportunities. It also helps the students to gain future employment contacts. Industry interaction program are regularly organised with a cross section of professionals from various sectors and areas like financial services, HR, marketing, IT etc. Professional development seminars are also organised. This program demands Rs 6.25 lakhs p. A. at IBS Hyderabad, Rs 2.25 lakhs p. A. at IBS Dehradun, IBS Jaipur. Candidates will have to apply only through online mode. The cost of form fill up is Rs 500 which is to be deposited using credit card /debit card. Candidates should attach their scanned color photograph along with the application. Limited number of seats in all program is allotted to students securing 70% marks in their qualifying examination before wait list is released. Applicants using this option needs to upload a scanned copy in. Pdf format of the final marksheet. IBS offers limited number of merit scholarship to students based on their academic performance. Students are paid Rs 20000 p.m till the submission of their thesis proposal. Rs 35000 p.mis given after successful defence of their proposal till 04 years. The research scholars provide support in various activities upto 10 hours a week.